Cooking with local produce that is close to hand is to love the country and its producers. With all their effort, they make the fruit of our land grow day by day. The uniqueness of a territory depends on the courage and the perseverance of its people. 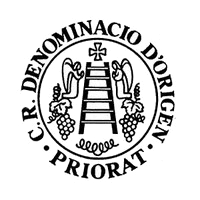 Every day the smallholders, farmers, winegrowers and shepherds supply us with the Priorat’s vegetables, cheeses, meat, fruit, oil and wild mushrooms. Sobrassadafrom Vilella Baixa, saffron from Falset, cheeses, cherries, figs and truffles. Special menus for the Annual Festival, for the Wine Fair, a Sephardic menu, Country Menu or a Music menu. The land gives us its fruit and we harvest it in its state of grace. From the field to the table, when the weather and the time is right, like a flower when it opens, a gift from the sun. Grapes in September, oranges, quince and sweet potatoes in November, watermelons and tomatoes in August and peas in March. Olive oil, "calçots", aromatic herbs, fresh fruit, vegetables from the garden. Tempus Fugit, make use of every instant.